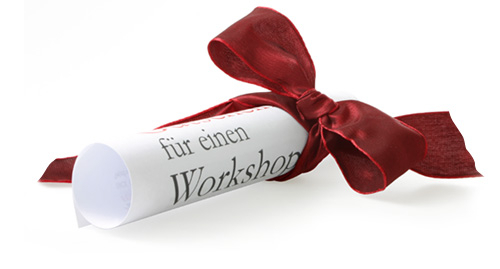 When time is pressing and you are desperately looking for a present, we are the ones who supply you with an outstanding gift even in the very last minute - our workshop coupon. Call us under +49 (0)991 9109 909 and make a reservation for the course that you may give to your loved ones. After receiving the access data to download the workshop coupon, you can add some information regarding the course. Print it out, put a ribbon around - here is it, ready for giving away!